I have always dreaded even at the thought of reading a Murakami but I couldn’t be more wrong. For some reason, I always thought the author would be a complex writer but to my surprise, it’s just the opposite. It is a popular notion that Norwegian Wood is an apt first Murakami book that one should read, and rightly so. The book revolves around three main characters and yes it’s a love story. The most interesting part of the book is, no matter who you are there is at least one character in the book with whom you can relate. Be it the protagonist or the other supporting characters. Murakami deftly depicts the two aspects of life, the past which is dead and the future which has the life. The protagonist constantly struggles to choose one of it. The dilemma arises when you realise that you are deeply in love with the past. And you don’t want to let it die at any cost. The past and present, the death and life are metaphors for real people in the book. I can delve deeper but I would probably have to tell the whole story which will spoil the fun of the book hence not doing. The story flows like a breeze and there isn’t a single moment when you feel detached from the story. Norwegian Wood is one of the books that should have never ended. After the last page, I wanted to know more, what happened after that? 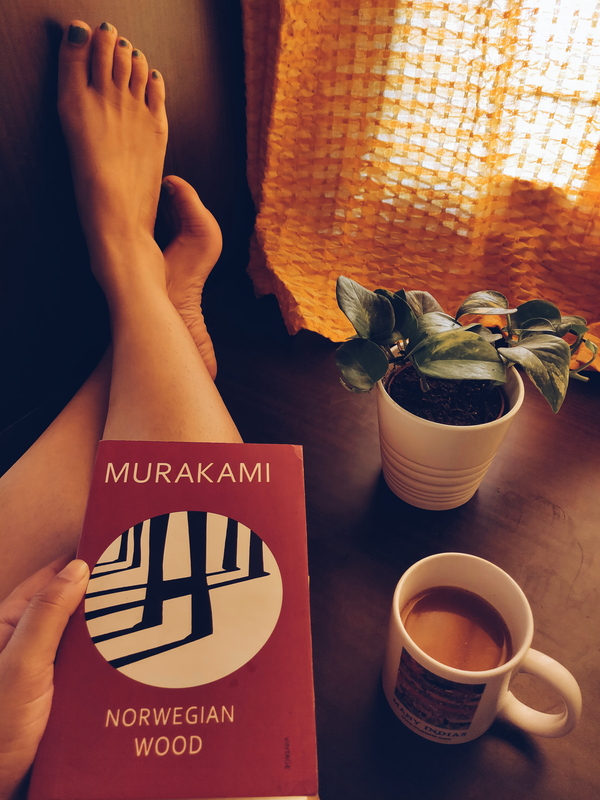 Murakami’s simple and yet effective writing style would leave you craving for more. If you have been thinking about reading a Murakami book, like the rest of the world I would also suggest you pick this one.